Four Roses Distillery is adding a new bourbon to its core range: Small Batch Select. It’s a big week for bourbon lovers. Four Roses announced a new, permanently available bourbon that’s non-chill filtered and bottled at a solid 52% ABV. 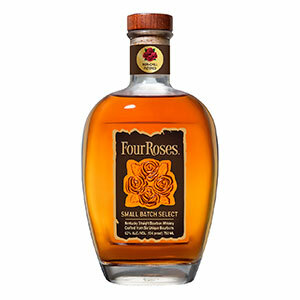 Four Roses Small Batch Select is made with six of the distillery’s recipes and is the first core bourbon to prominently feature the F yeast strain. Priced around $55-$60, it will eventually be available nationwide, but is starting off in five states: California, Georgia, Kentucky, New York, and Texas. 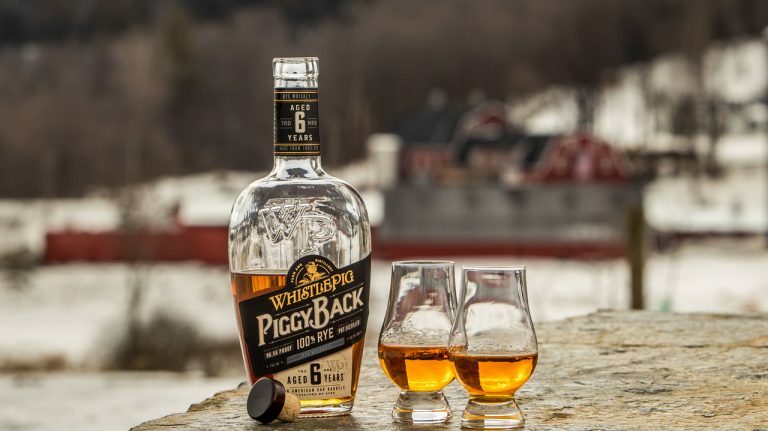 Whisky Advocate spoke with master distiller Brent Elliott to get more details about the whiskey; keep reading to find out how he developed the formula, and which specific recipes he used. Meanwhile, Buffalo Trace has debuted a 20 year old version of Eagle Rare. Double Eagle Very Rare is packaged in a crystal decanter and fancy box, and has a recommended price of $1,999. Just 299 bottles are available. The Whiskey Barons collection, which is made at Wild Turkey Distillery, has unveiled its latest bourbon, W.B. Saffell, as well as the second release of Bond & Lillard. 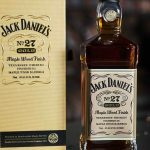 The limited-edition bourbons are both priced at $50 per 375-ml. bottle, and are available nationwide. There’s a new whiskey from Writers’ Tears, a blend of Irish single pot still and single malt that’s then finished in Cognac casks. 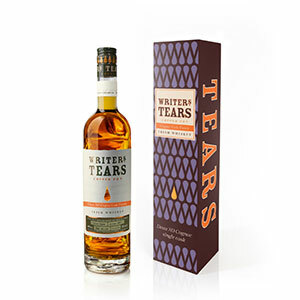 Writers’ Tears Deau XO Cognac Cask Finish is available in limited amounts for $60. 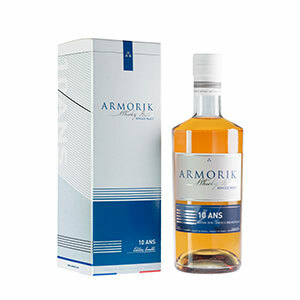 France’s Warenghem Distillery—whose Armorik Double Maturation was number 6 in the 2018 Top 20—has unveiled its first age-statement single malt. Armorik 10 year old is being released in limited amounts to start, with additional releases planned for the future. The U.S. price is $80. Three new whiskies from Japan are coming out, all exclusively available in the U.S. from Aiko Importers. 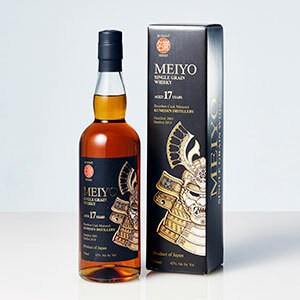 Meiyo 17 year old is a single grain whisky distilled and matured entirely in Japan. There are 3,600 bottles available, priced at $300 each. 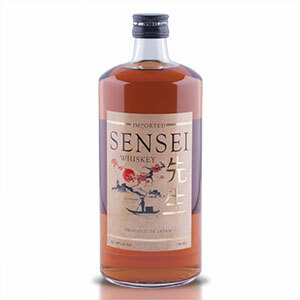 Sensei combines 3 year old Japanese grain whisky with 3 year old malt whisky from Scotland, finishing the blend in mizunara oak casks. There’s plenty of it available, priced at $45, in 15 states. Yamato is a blend of 3 year old Japanese grain whisky with 8 year old malt whisky from Scotland that’s then finished in mizunara oak casks. The whisky is for sale in 14 states for $55. Finally, Macallan has released its special double-bottle package for the Lunar New Year. The Year of the Pig package costs $120 and is available for a limited time. 2/10/2019: This post was updated to add new information about the Whiskey Barons collection. The fourth permanently available bourbon in Four Roses’ lineup, Small Batch Select is non-chill filtered and bottled at 104 proof. 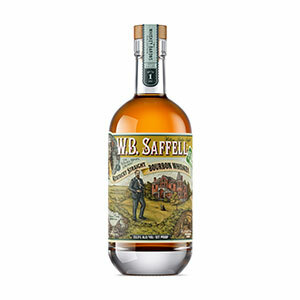 It includes six of the distillery’s recipes, and is the first core release to feature its F yeast strain prominently. The recipes are OBSV, OESV, OBSK, OESK, OBSF, and OESF. Four Roses is unique among Kentucky distilleries—and indeed, most all distilleries—in the number of unique recipes it creates for its bourbons. The distillery uses five different yeasts and two different mashbills to make ten distinct recipes, each of which showcases different flavors and aromas. 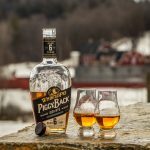 All ten get combined into the core “Yellow Label” (which is no longer yellow, after a packaging change in 2017), while Four Roses Small Batch employs four recipes, and Four Roses Single Barrel is always the OBSV recipe. Longtime Four Roses employee Al Young explained the significance of yeast for bourbon’s flavor in this 2017 interview. He also detailed the the different flavors you can taste in each recipe from in this other interview. Aged for 20 years, this bourbon made at Buffalo Trace Distillery is packaged in a crystal decanter and elaborate presentation box. 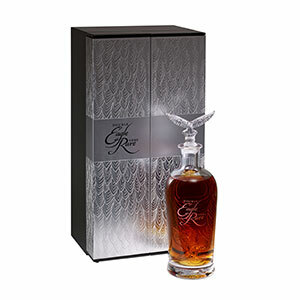 The “Double” refers to both the doubling of Eagle Rare’s normal 10-year aging time, and the two crystal eagles depicted in the packaging—one on the bottle, and one as the stopper. Eagle Rare 17 year old is part of Buffalo Trace’s annual Antique Collection, with a suggested retail price of $99 (although we all know finding a bottle with that price is more or less impossible). This bourbon is three years older and a heck of a lot more expensive. Sure, it has fancy packaging, and there’s very little of it, but is that the only reason for its hefty price tag? The third release in the Whiskey Barons collection, which is made at Wild Turkey Distillery, this bourbon is named for a historic brand created in the late 19th century. 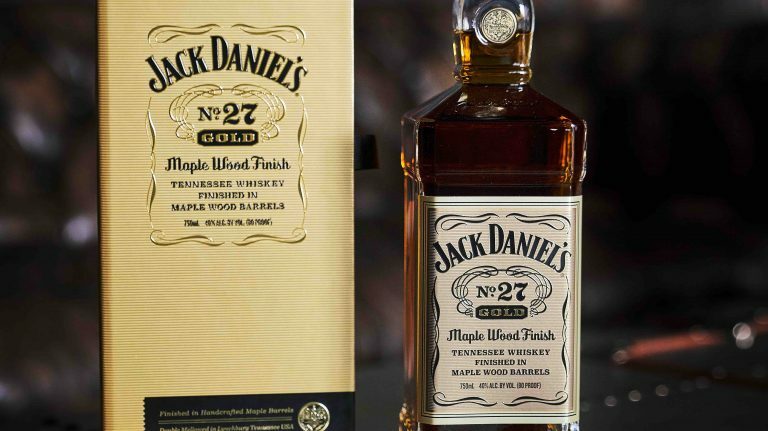 It is a combination of 6, 8, 10, and 12 year old straight bourbons and is non-chill filtered. 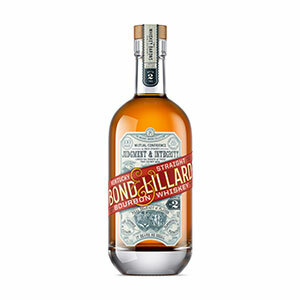 Another bourbon in the Whiskey Barons collection, Bond & Lillard, is rolling out its second batch. This is a mix of 4 and 6 year old bourbon that has been charcoal-filtered. See additional details on the the original release in this article. The Whiskey Barons collection aims to recreate historic whiskeys that were lost during Prohibition. The line of whiskeys—which also includes Old Ripy—is made at Wild Turkey Distillery. When the collection was originally announced, parent company Campari said that the bourbons had not been made by Wild Turkey co-master distillers Jimmy and Eddie Russell, but with this release, it has stated that Eddie Russell was responsible for creating the whiskeys. 2/10/19: This post was updated to reflect additional information about the bourbons’ recipes and creation. This limited-edition expression from Writers’ Tears is blended single malt-single pot still whiskey that’s finished for nine months in French oak casks which were seasoned for 12-15 years with Deau XO cognac. Cognac cask finishes are finicky, but when done well, yield some of the most delicious whisky you can find. Writers’ Tears is the second Irish whiskey to go big on cognac casks in recent years; Lambay Irish whiskey finishes both its blend and its single malt in Camus cognac casks. Availability: 2,000 bottles; 60 for the U.S.
Warenghem Distillery in Brittany, France has unveiled its first age-statement whisky, a 10 year old single malt. 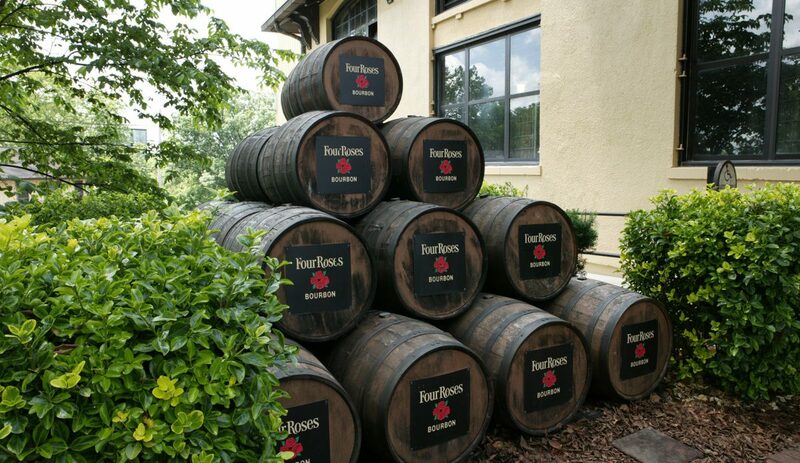 The whisky matured in ex-bourbon casks and was finished in oloroso sherry casks. Just 2,000 bottles are available of the current release, but there will be future bottlings. Warenghem is the oldest whisky distillery in France; it began production in 1987, and released its first single malt in 1998. Over the years, the distillery has refined its production techniques to great effect: its Armorik Double Maturation was named number 6 in the 2018 Top 20. The current issue of Whisky Advocate has much more detail on France’s burgeoning whisky industry—pick up a copy today! Made in 2001 at Japan’s Kumesen Distillery in Okinawa, this whisky aged for 17 years in ex-bourbon barrels. “Meiyo” means honor, which is one of the seven virtues of bushido, the moral code practiced by the samurai. The whisky is exclusively available in the U.S.
It’s easy to find blended Japanese whisky, like our 2018 Whisky of the Year Nikka From The Barrel, as well as Japanese single malts. 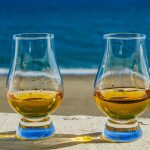 But there are few single grain Japanese whiskies available—Nikka Coffey Grain is easiest to find in the U.S., while The Chita is available abroad. Neither of those whiskies bears an age statement, making this 17 year old single grain quite a rarity. A blend of minimum 3 year old malt whisky from Scotland and 3 year old grain whisky from Japan, Sensei is finished in mizunara oak casks. It is exclusively available in the U.S.
Japan has few regulations about whisky-making, and many producers source malt whisky from abroad to blend with their own liquid. Most of these brands don’t openly disclose the practice, so it’s refreshing to see one that does. This blend combines minimum 8 year old malt whisky from Scotland and 3 year old grain whisky from Japan and is finished in mizunara oak casks. It is not chill-filtered, and is exclusively available in the U.S. “Yamato” is an ancient name for Japan. 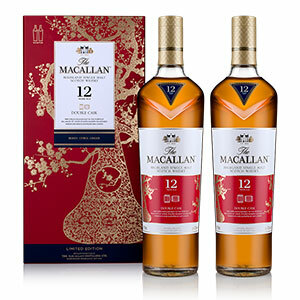 This isn’t new whisky, but a special double-bottle package of Macallan 12 year old Double Cask that celebrates the Lunar New Year—this year, the Year of the Pig. Two bottles of the whisky are included in a package that’s decorated with a red and gold design of one of the distillery’s pot stills. 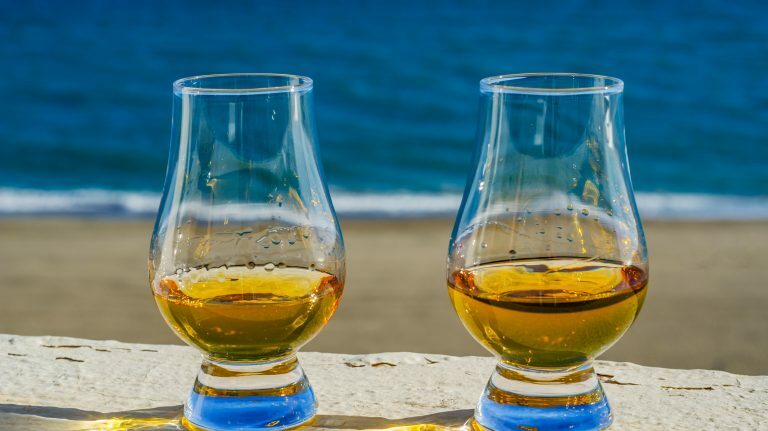 Two is often better than one, as is the case with this double-pack of Macallan, which is priced slightly below what you’d pay for two bottles separately. Happy new year!